Instead of being presented with a small array of options from a range of jewellery online or in a shop, if you go bespoke you can choose every element. 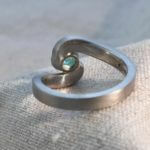 From the metal (or mix of metals! ), setting design and stones, to the band shape and thickness – it’s all your choice, rather than having these things dictated to you by the current trends in the shops. Although this may sound daunting, a good designer will ease you through the decision making process by showing you examples and teasing out your ideas and preferences. They will give you their expert opinion and make suggestions when you might not have a definite idea. I think in a good design consultation, you won’t even realise how many little decisions you’ve made in order to come up with a final design. 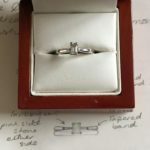 I think most people would agree that a ring where each and every part has been carefully considered is much more romantic than a ring that has been chosen as a ‘best fit’ from a selection in a shop window. 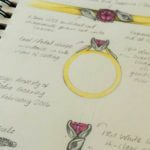 Your jewellery designer will quite possibly be the person who makes your ring, and therefore they have a lot of experience and understanding to draw upon to help you come up with the perfect design. 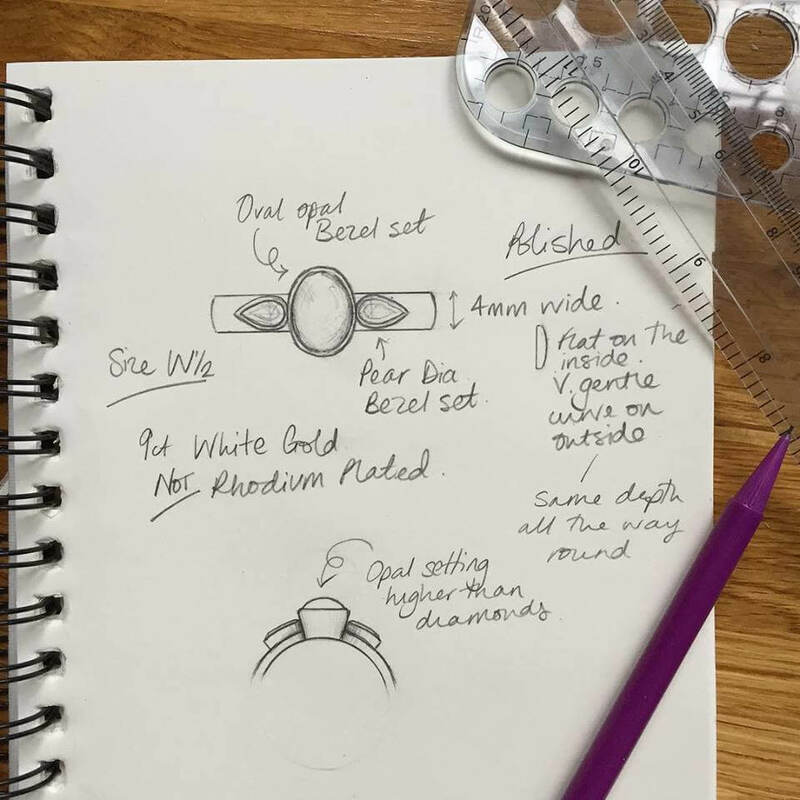 A jewellery designer will have an in-depth understanding of the making processes involved and therefore the practicality and durability of your ideas. 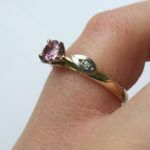 They will also be able to give you advice on the best metal and stones to use based on your preferences and budget. They may come up with creative solutions and design elements you would never have thought of – a good designer will be able to whittle through all the options and get you to your perfect design. If you let your designer know how much you are comfortable spending at the beginning of the design consultation, they will make sure they work to that figure for you and make realistic suggestions. A good designer can also help you work out how you want to distribute your budget – what areas of the design would you like to splurge on (for example, the stones), and in which areas could you compromise? (e.g. the metal choice). 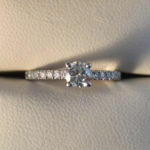 Your relationship is special and unique – if you go bespoke, your ring can capture that and be as unique as your relationship. 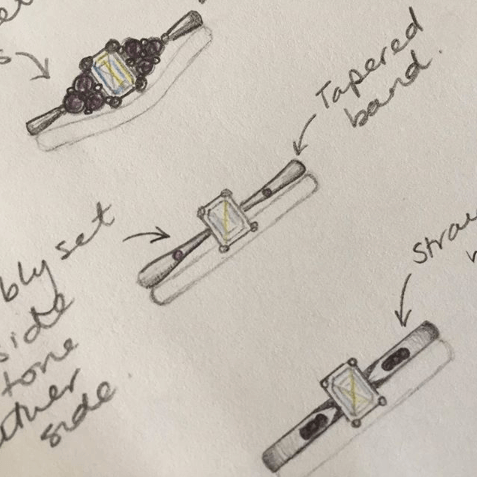 Your design doesn’t have to be ‘out there’ if you choose the bespoke route – a simple solitaire that has had each and every part carefully thought about is just as romantic as a ring design inspired by the place you met, for example. 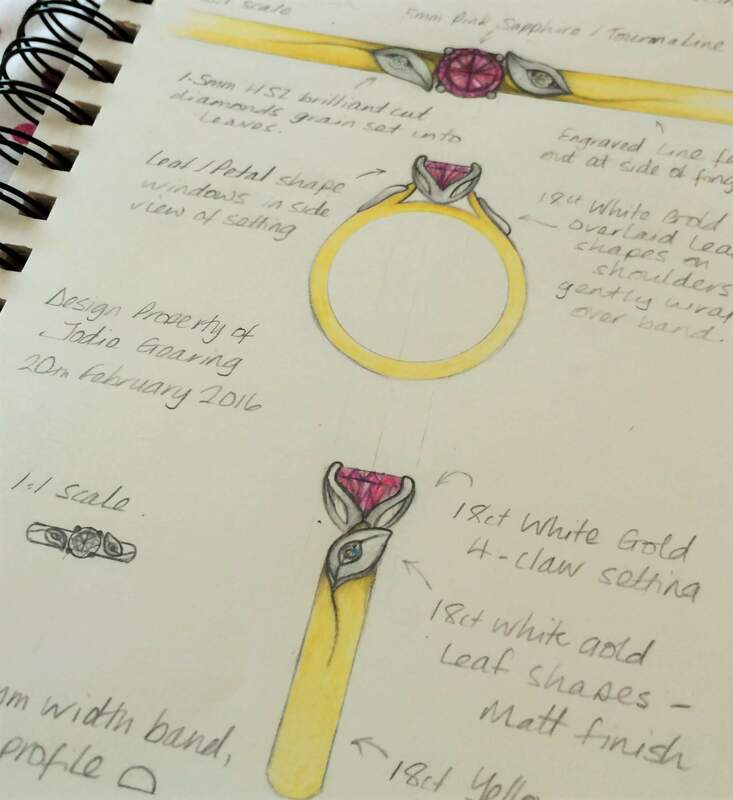 Going through the bespoke design journey is a fantastic and exciting process. 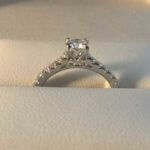 You will be working with an expert who can answer any questions you have – you’ll get to learn in more depth about the purchase you are making than if you bought a ring off the shelf. 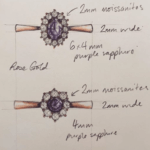 Seeing your ideas translated into a beautiful design on paper and then be made into a stunning and unique ring is a truly magical experience that will only add to the joy at this exciting time. 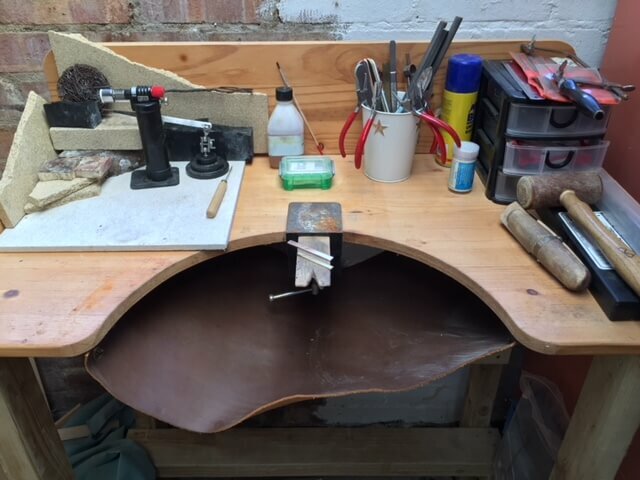 If you’d like to find out more about the bespoke process, click here. 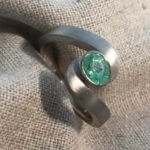 So if you’re planning a proposal and like the idea of designing a unique ring from scratch, I would love to talk to you about your ideas. There is absolutely no obligation and we can take it at your own pace. This is your special moment! 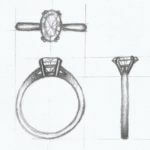 Below are some recent examples of engagement ring designs I have worked on to give you some inspiration!